This interactive exhibit welcomes visitors to the official S.T.A.T.I.O.N. headquarters, where they can access intelligence files that explore the history and scientific origins of the The Avengers while training to become an agent. Notable exhibits: Captain America’s uniform and shield and Black Widow’s uniform, among other authentic props and costumes from the movies. Adult tickets valid for ages 12+ and child tickets valid for ages 4–11. Kids 3 and younger are free. Operating hours: 10:00 AM to 7:00 PM. The last tour is at 6:00 PM. Marvel Avengers S.T.A.T.I.O.N. 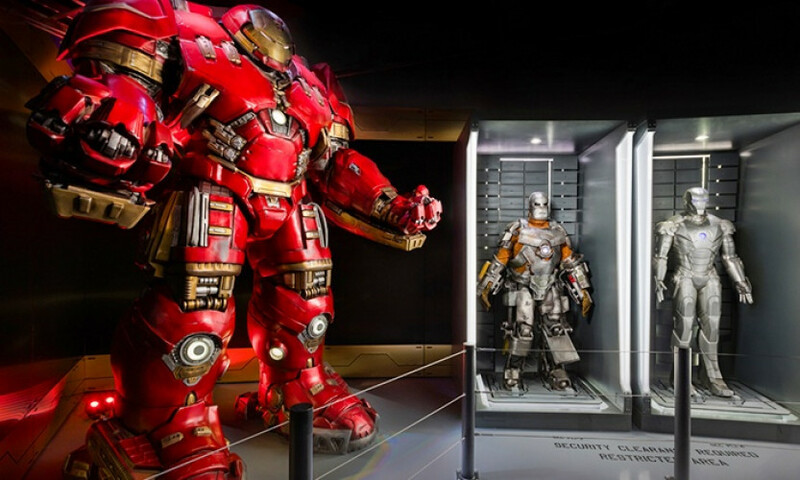 is an interactive exhibit based on The Avengers installments in the Marvel Cinematic Universe. Visitors get access to intelligence files that explore the history and scientific origins of the The Avengers. Authentic props such as Black Widow's uniform and Captain America's uniform and shield are on display. There is also a private event space overlooking the Las Vegas Strip for special events and birthday parties.